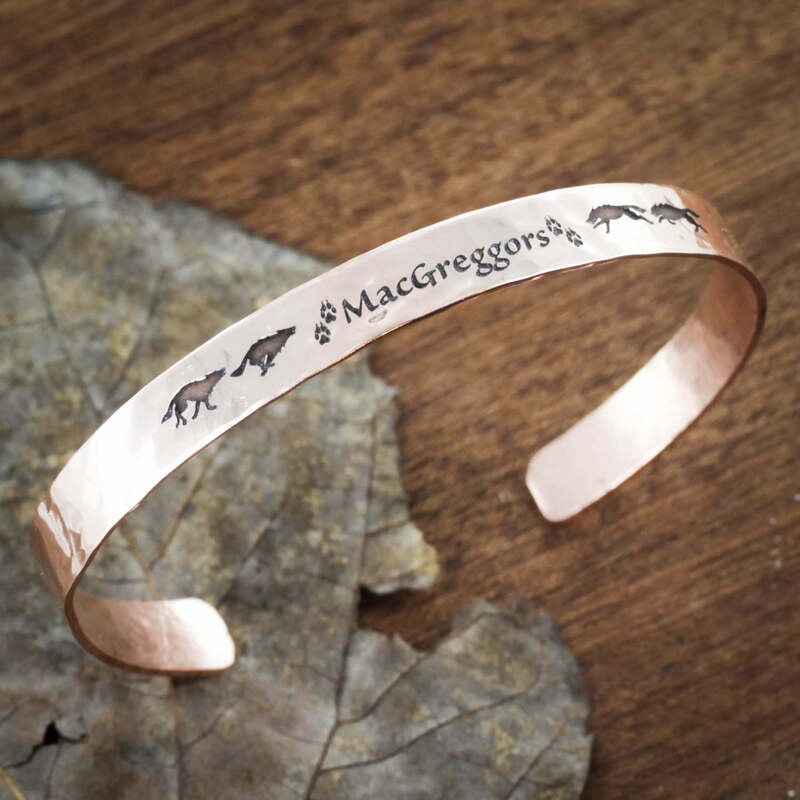 This is a hammered copper bracelet cuff with engraved wolves running to a name in the middle. 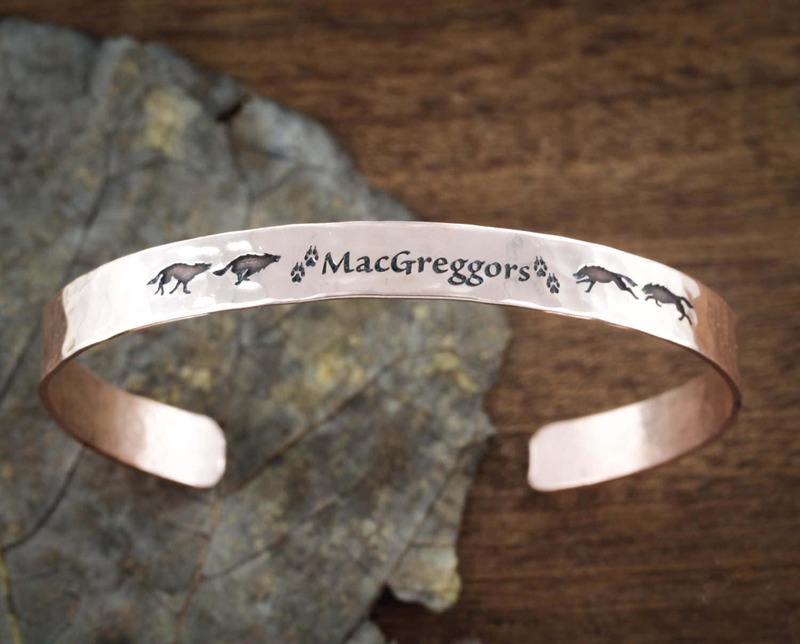 We also engrave wolf prints right by the name. It's super cool. We think that in this world of amazon and big business, its even more cool to make things by hand. We feel so blessed that we are able to make a living making people happy and doing what we love. For this piece we hammer the copper by hand and then start engraving. Just let us now in your order comments what name you would like. 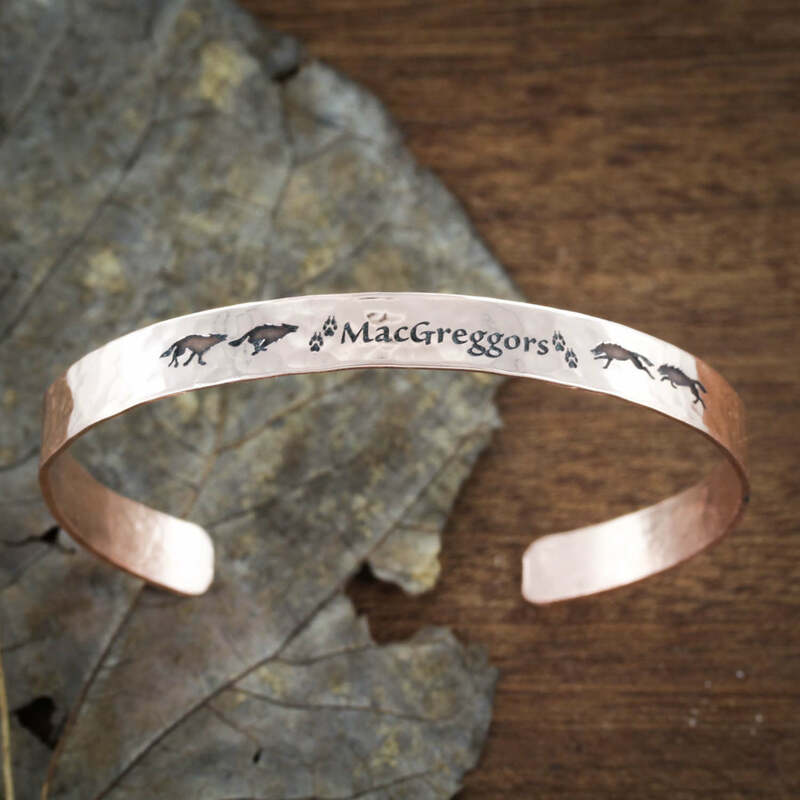 I love this cuff, it fits perfectly, the images and writing looks great.